...This time is different. Enter velocity based training (VBT). The concept of velocity based training itself has been around for years. However, it involves measuring bar speed and that requires specialized equipment. Until just recently, this equipment cost thousands of dollars and took up a lot of space. Accordingly, it has only been accessible to high level athletes with access to well equipped training facilities. A lot has changed with technology in just the last half decade. 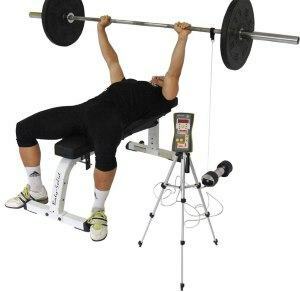 Now the average lifter has access to the technology needed to do velocity based training. People are quickly adopting the technology and learning how to use it in their workouts. Who Should (or Shouldn't) Use Velocity Based Training? ...At first, I thought this is was what velocity based training was all about. And so, I really didn't care about VBT. I'm not an athlete. My main goals are strength and hypertrophy. Speed is way down list. Luckily​, I was wrong. VBT is about using the metric of velocity to train for any type of goal. It's not about the end goal of developing speed. I should note that you can use velocity based training if your main goal is developing speed and explosiveness.​ It's a great tool for that. But you can use it for much more--including my goals of strength, muscle and power. Velocity based training is a form of autoregulation training that uses the speed of the exercise to program the optimal weight for each set, in real-time. "Speed" in the context of the above definition can be more narrowly defined as the average concentric velocity (i.e. avg. meters/second of positive rep over each set) of each set of any given exercise. This is in contrast to programming based on the amount of weight lifted (i.e. percentage of your one rep max) or how how heavy the weight feels (e.g. rating of perceived exertion scale). How do you know what your bar speed is? Good question. You can measure the speed (velocity) of your lifts with any of a several sensor-based devices. More on VBT devices later. ​I'll discuss these six traits in detail later. For now, I just want you to understand that there is a different velocity range for each trait. For example, you might do a squat with an average bar speed between 0.5 to 0.75m/s – a velocity range associated with accelerative strength/muscle growth. ...Why? Because it will help you determine the optimal training load for a particular day. You see, your workout performance varies from workout to workout. In fact, it even varies from hour to hour. Various physiological stressors influence your performance: the quality and quantity of the sleep you had the night before, whether or not your glycogen stores are full and the ‘freshness’ of your central nervous system are just a few of them. If you do not take your physical (and mental) readiness into account, the amount of weight you use during your training is most likely to be off. Fortunately, by measuring the speed of the movement and adapting your loads based on that, you can still work out with the right amount of weight for that day. I'm going to tell you more about VBT and how to add it to your training in just a minute. But first, let’s look at the two other common ways lifters select a training load: percentage based training and subjective autoregulation (and why they are flawed). Percentage based training means you've already planned out the weights you will be using during your workouts. This is usually done by first testing (or estimating) your one rep-max and calculating the amount of weights you will use based on that. For example, you might plan to do three sets of seven reps at 80% of your one-rep-max. It takes the guesswork out of your training. No matter how you feel that day, you just do what the program tells you to do. It does not take your personal circumstances into consideration. After all, you lock yourself into using a particular weight. If you've had a busy and long day at work, or you're just not feeling optimal that day, the weight could be too heavy, while on a good day, the weight might be too light. It not take individual differences into consideration. Every lifter is different, and we should consider that when designing a workout program. Let me expand on that last point about individual differences with an example about muscle fiber type: Lifters whose muscle fiber make-up is primarily slow-twitch dominant might be able to perform twelve-to-fifteen-plus reps on an exercise using 80% of their one-repetition-max. Fast-twitch-dominant lifters, on the other hand, might only be able to do eight or fewer reps with the same 80%. Muscle fiber types even vary (significantly) for each muscle group. That's why most lifters can do more reps with 80% of their maximal weight on a leg extension than on a leg curl. The quads are generally more slow-twitch dominant while the hamstrings are usually more fast-twitch dominant. If you do not take factors like those into consideration, you’re missing out. Another common way to guide your training is with subjective autoregulation. In practice, the RPE scale works like this: You have a predetermined target rating for a given set. You choose a weight that you think will match that RPE. If it ends up matching your expectations, then you keep things the same. If the actual RPE is higher than the target, then you reduce the weight (or volume, or increase rest, or...etc.) for the next set. If the actual RPE is lower than the target, then you increase the weight (or volume, or decrease rest, or...etc.) for the next set. Reps in Reserve (RIR). This refers to a rating system based on how many additional repetitions you would be able to perform at the end of a set (if you continued). Usually this is between 0 and 3 or 4 RIR. 0 means max effort; you wouldn't be able to any more reps. 4 means you would you have 4 reps left in the tank. It works the same as described in the RPE description above. In fact, many times RPE and RIR can be used to reference each other (e.g. A 10 RPE = 0 RIR, a 7 RPE = 3 RIR). For example, when you feel great you might add ten pounds to the bar. But when you feel tired that day, or when your form starts to break down, you decrease the weight (or change other variables). There are many ways you can implement subjective autoregulation into your training. Just a few of the factors you can change depending on your situation of that day are the amount of reps and sets you do, the rest periods in between sets, and the total number of exercises you do. It adds flexibility to your training. You can modify weight used, rest between sets, volume per exercises, etc. based real-time factors in your workout, such as your performance and how you feel. First off, unless you have a few years of training experience, “listening to your body” can be tough. Even if you're a seasoned vet, your judgements won't necessarily be accurate or consistent from workout to workout. Many lifters take autoregulation to the extremes when relying on subjective indicators. 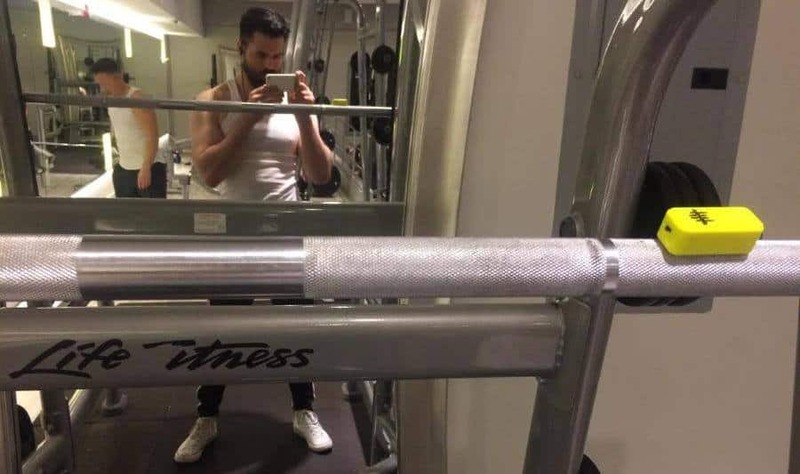 Some lifters have a hardheaded balls-to-the-wall personality. They'll tend to consistently overestimate their performance, which causes them to overdo things even on a bad day. Other lifters have a more cautious personality. They'll tend to consistently underestimate their performance, which causes them to do less than they should even during their best workouts. These guys feel optimal that day, they decrease the training volume and/or training intensity too much (or even skip the workout altogether). With velocity based training, you can get the best of both percentage based training and autoregulation (without their flaws). You’re not “locked” into using a predetermined percentage of your 1RM that may be too light or too heavy depending on the day. This is the case with percentage based training--it's inflexible. You don't have to rely on your perception of how difficult your previous set was to decide the weight for your next set like you do with autoregulation. You perception of difficulty is by definition subjective. It can vary significantly between or even within workouts depending on environmental (e.g. music, temperature, others around you) and psychological factors (e.g. mood, ego). VBT allows optimal weight for any given set of an exercise. It's flexible and objective. 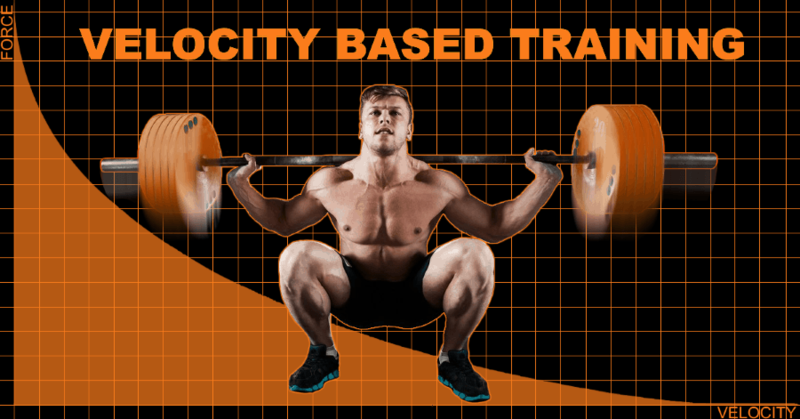 The above advantages of velocity based training--combined with the greater accessibility to VBT devices--explain why it's quickly rising in popularity. There are six different types of strengths, or traits, that you can develop with velocity based training. Each trait requires a different type/amount of stimulation, which is achieved by moving the weight within a specific average velocity range. If you want to be able to intelligently apply velocity based training toward your goals, you need to start by understanding these traits. Specifically, how each trait relates to different velocities and loads. The maximum force you can produce in a single voluntary effect without a time limit, so the maximum amount of weight you can lift in one rep. The most well-known example of this is powerlifting, like your 1 rep max (1RM) on squat, deadlift and bench press. In the powerlifting world, we call this style of training the “maximal effort method”. This method of training is the best way to gain limit strength and can also lead to an increase in muscle mass. In practice, training absolute strength can mean going full-on 100% intensity and doing your true 1RMs. However, it can be your near-max, too. That is, taking just enough weight off the bar so you can do another rep (i.e. 2 rep max; heavy double). Circa max strength literally means near your max strength. It is a slightly toned down version of absolute strength. You're still lifting very heavy weight--around 80-90% of your one rep max. But​ it's more sustainable. The quality of your reps will feel better. You'll be able to knock out more total volume. And you won't completely fry yourself out. This is great for ​building strength. I personally find it's my sweet spot (though I don't always use it, and certainly not for every movement). It's more sustainable than training in the absolute strength range, meaning that you can do it more frequently and over a longer term with way less risk of injury, much faster recovery and generally more consistent strength progress. You can, of course, build plenty of muscle here, too. You just need sufficient volume (i.e. more sets since reps will be pretty low, like 2-4 per set)​. This form of training is mostly associated with the traditional bodybuilding/hypertrophy training. It involves movements done at a controlled pace with moderate weights. The weight typically correlates with around 65-80% percent of your one repetition max. It generally works best with between 5-15 reps. This method includes movement in which the force output is a result of both a high acceleration and a moderate/heavy mass to be moved. The most well-known example of this is Olympic weightlifting (and its variations). Besides that, strength-speed training is frequently used by powerlifters to improve their main lifts - we call it the "dynamic effort method”. This method has been popularized by powerlifting coach Louie Simmons, who recommends using a load between 50-60% percent of your 1RM in lifts such as the squat, deadlift, and bench press while lifting the weight as fast as possible. He recommends only performing about three reps to maintain maximum acceleration (within the correct mean velocity range) during each rep.
Others recommend starting with a more inclusive 45-65% of your one rep max and say you can as high as eight reps--which would necessarily mean using lighter weight (compared to three rep sets) to ensure you're still able to achieve the mean velocity range for speed-strength. The ability to produce rapid movements involving small external resistance. An example of this form of training is loaded sports movements, for example pushing a light prowler or running with a light sled. Another kind of speed-strength is explosive lifting with minimal loading. Plyometrics and other types of jumps and throws also fall under this category. Training speed-strength usually involves lifting around 25-45% of your one rep max for anywhere between 3-8 reps. Starting strength is your capacity to instantly apply high amounts of force at the start of a movement. For example, let's say you're sitting in a “ready to jump” position in a chair. Without first swinging your body back (to make use of the stretch reflex), you jump up from this dead stop position. That is an example of starting strength. Another example is a 100-meter sprinter coming out of the blocks. Starting strength is best train with very light weight for low to moderate reps--something like <25% of your one rep max for 3-8 reps​. Here's a graph of the Force-Velocity curve, which shows a simplified version of the data in the above chart. Note: The Velocity on the X-axis is expressed in meters per second (M/S) with actual numerical ranges shown along the curve. The Force on the Y-axis is expressed in Newtons (N). There is no numerical value shown in the graph for Newtons since that value would differ based on the person, exercise and performance. However, the number of Newton's is not important for understanding this graph--All you have to know is: a hypothetical N value at the very top of Y-axis (i.e. maximum force) would correlate to 100% of your one rep max; an N value at the very bottom of the Y-axis (i.e. no force) would correlate to 0% of your one rep max. Now, you may be wondering, "How do I actually measure these velocities in the gym?" Good question. You do it with a special velocity tracking device. There's a bunch out there, and I'll talk about them in the next section. We've just seen the general velocity guidelines for training each trait. But this information by itself it pretty useless. To use those numbers and make velocity based training work, you need a device that measures the speed of your lifts. There are multiple options on the market - and we can globally put them into two categories: wireless and wired velocity trackers. The Tendo unit (approx. 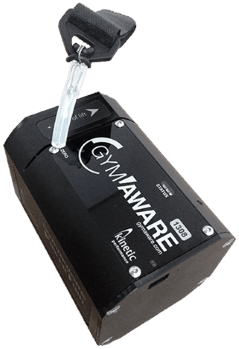 $1600) and the GymAware ($2200) are prohibitively expensive for the vast majority of lifters. 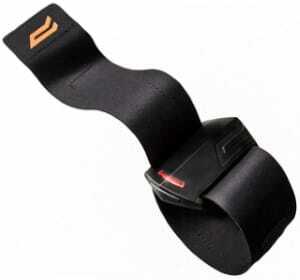 The OpenBarbell V2 is the only consumer level wired velocity device, costing between $250-300. However, it is currently sold out from all stores. It will apparently be restocked sometime in the future, but I couldn't find any specific date. 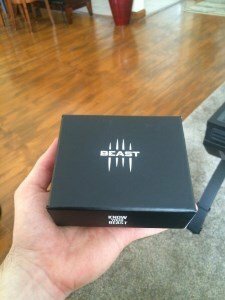 I use and recommend the Beast Sensor. I've had it for several months and can vouch that it works great. I haven't used the other wireless trackers--However, I have researched them thoroughly, and I'm confident I chose the overall best wireless VBT device. 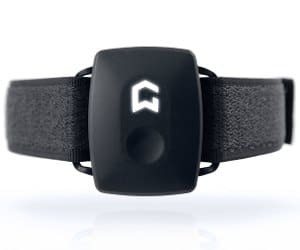 The Beast Sensor is a device you attach to the bar or to your body that tracks the movement of your speed. 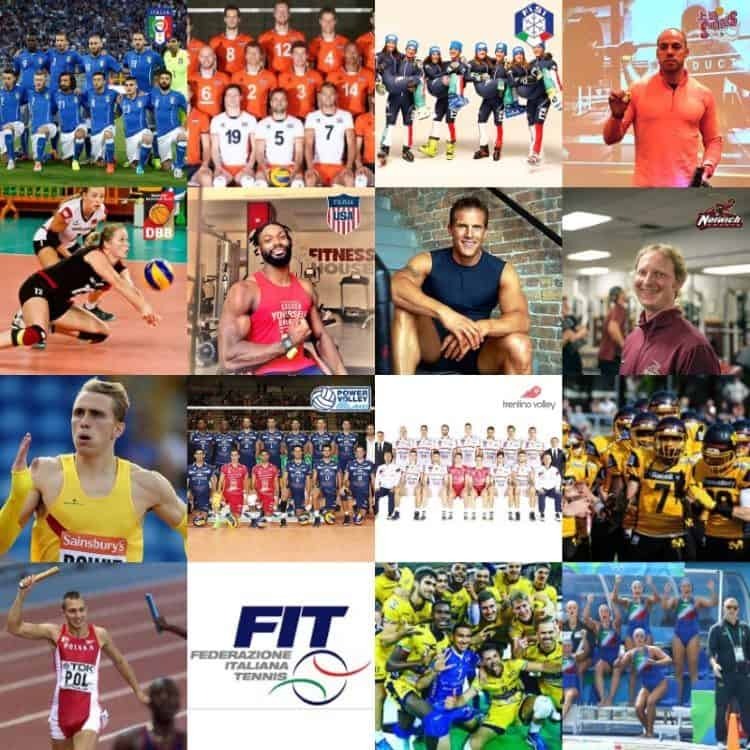 This information is transmitted directly to the Beast app on your smartphone, giving you highly valuable training information to base your training decisions on in real-time. You can save all the training data for each workout and see your progress over time. There are a number of different ways you can breakdown your long-term progress, including by individual exercise progress or overall. You can see it in terms of total tonnage, average velocity, average power, weight and more. I've done an in-depth review of the Beast Sensor in another article so I won't go into too much detail here. I can measure my workout program progress, especially from workout to workout, more efficiently - and base my workouts on that. You're easily frustrated and don't want to invest a few sessions in learning the proper usage of the device. The first time you use the Beast Sensor, you might experience some “ghost reps”, you might have difficulties reading all the data, or you simply forget to push the start button. Get used to using your VBT device before you worry about choosing your specific program strategy and structure. Find the best way to attach it to the weight or yourself for different exercises. Play around with the different settings in the app. Train the different traits by testing out all the different training modes for a range of exercises. Find what the kinks are--all devices have some. Learn how to avoid these kinks beforehand (e.g. for the Beast, don't let the bar bounce when unracking the bar for squats) or how to fix them them after the fact (e.g. for the Beast, check the app after each set; if it picked up any "ghost reps" from extra movement, delete them). Do all of this testing during each workout for about two weeks. You shouldn't do it for every exercise or set. That would slow down your workouts too much. Do it enough to get past the initial learning curve. Your goal should be to develop an efficient "workflow" of moving from set to set and exercise to exercise, ensuring accurate recording of reps and input training data while minimizing the time spent managing the device and the app. Many exercises can be used to train any of the six traits. However, some exercises work better if not exclusively with certain traits. For example, Power Cleans or other Olympic-style lifts are best done with strength-speed, speed-strength and starting strength forces. Whereas, isolation exercises such as biceps curls generally make the most sense when done with the accelerative strength force. Regardless of which trait you're training, always try to move the weight as fast as possible--while still maintaining good form and control of the weight. Of course, the actual bar velocity will be slower if you're training for absolute strength vs. if you're training for speed-strength. But the idea is to be explosive and move the bar as fast as possible (while maintaining control), regardless of weight. Try to do every rep at the about the same speed. This won't always happen, especially on some sets if you're training max strength or circa max strength. But it is a good goal to strive for. This refers to the velocity ranges for each trait, which I explained earlier and showed in the chart. ​...Also, as explained above, you need to create a velocity profile in order to figure out these more accurate individualized velocity ranges are--That can be a bit of an undertaking, especially if you're new to VBT. As such, I recommend most people just rely on the general guidelines. At least when you're first starting out with velocity based training. ​The velocities ranges I outlined earlier are really just general guidelines. Technically, the velocity ranges for each trait are at least slightly different for different people and for different exercises. 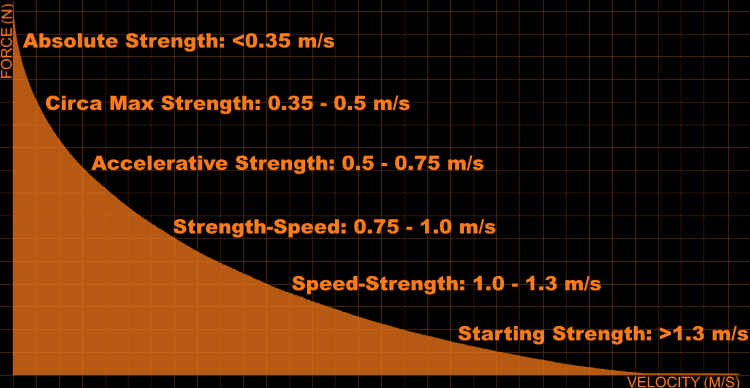 ​A velocity profile your specific set of velocity ranges for the different traits on all relevant lifts. This ends up correlating to your %1RM for the given day for each lift. It is so specific to you that you can basically think of it as your velocity "fingerprint. "​ It is also remarkably consistent over time. It may change somewhat over time--but not by a lot. If you've been doing VBT with the general guidelines for several months and want to get that additional marginal benefit, then you can look into creating a velocity profile--you'll also be better equipped to do this, since you'll be much more experienced with the concepts behind VBT. Plus, you'll have a general idea of how your ranges vary for different traits on different exercises. You can implement velocity based training into (almost) every exercise. 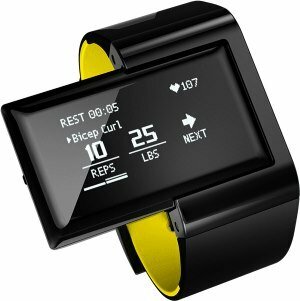 You get all your workout data. Nothing is missed. Even if you don't care about tracking velocity for some of the exercises, you still get data like total tonnage. Total tonnage is a great metric for seeing progress over time. However, if you don't track all the exercises, your tonnage data won't be accurate. I primarily use it on my main lifts--the ones I focus on improving. Tracking my speed on those lifts gives me highly valuable information about my progress on a workout-to-workout basis. I can finish my workouts with fewer interruptions. This means faster workouts with greater mental focus throughout. I am able to put in a disproportionately small amount of time and effort in managing the device and app because I use it for only a few key exercises. This gives me a disproportionately large benefit--almost as good as if I tracked all exercises, but without the additional time/effort. Think of the 80/20 rule (i.e. Pareto Principle). I have no real-time feedback to base the weight selection on during my accessory lifts - and I will have less total data to track my workouts. Another way to implement VBT is by using it periodically to test your progress on specific lifts. While it is less accurate than using VBT every workout, it still gives you feedback on how you’re doing. 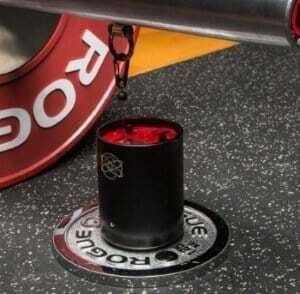 ​You can actually use velocity tracking on your warm up lifts to predict your work sets or even your 1RM for the day. Some people actually use this in powerlifting meets to pick the right weight for each attempt. This way, you avoid missing lifts and maximizing your top lift. ...However, there is a catch: This requires already having a velocity profile. So, if you compete, then you'll probably want to eventually create a velocity profile so you can get this major edge. This relates to how you set up your program to work in the context of velocity based training. And it can be done within the context of a new program or your current one. If you're newer to VBT and decided to take this approach, then just retrofit your current routine to this. With velocity based training, you would follow the guidelines for circa max strength and aim for a weight that you can lift at a mean velocity of 0.35 - 0.5 m/s for 4 sets of 4 reps.
You would follow guidelines for strength-speed and aim for a weight that you can lift at a mean velocity of 0.75 - 1.0 m/s for, let's say 4 sets of 6 reps.
You would follow guidelines for accelerative strength (hypertrophy) and aim for a weight that you can lift at a mean velocity of 0.5 - 0.75 m/s for, let's say 4 sets of 10 reps. Assign a trait to each exercise depending on your training objective/goal for each exercise. Apply use the mean velocity range that corresponds to the trait as your target for that exercise. Use a target rep range that falls within (or near) the approx. rep range shown in the table above. Choose a number of sets that makes sense within the context of of the rest of your workout--also consider the trait (e.g. lighter loads generally means more sets, and vice versa). I wanted to mention one programming strategy that utilizes velocity tracking, but isn't velocity based training per se, because you're not using velocity to determine the optimal load for each set in real time. It's a simple strategy: You have a weight/set/rep scheme for each lift that you choose at the beginning of your program. You test it to get a baseline mean velocity. You pick a goal velocity. Then, you track it each week with the goal trying to increase the mean velocity of that weight. Again, you don't increase weight, sets or reps to achieve progress--you just lift faster. Once you hit your goal mean velocity, you can increase the weight or volume. I like this approach if you're looking for a less involved--almost passive--way to effectively use velocity tracking in your training. The fitness industry has undergone a lot of changes over the last years. And to be honest, I'm not too big of a fan of most of them. But velocity based training is an exception. And with the aid of velocity based training devices like the Beast Sensor, VBT is accessible to the average lifting enthusiast. If you liked this post and want to start doing velocity based training, then I've got a gift for you: a 5% discount on a purchase of the Beast Sensor. All you have to do is enter the coupon code BEASTAKB5 at checkout. Here's the Beast Sensor product page. If you have any questions about velocity based training, let me know in the comment section below and I'll personally help you out. And if you think your gym buddies might be interested in velocity based training as well, do them a favor by sharing this article! Thanks for a great article. It would be very interesting to see an actual program with exercises, reps and velocities. Thanks, Lars! I’m actually planning on adding a VBT program template to this page in the relatively near future. Be sure you’re signed up to my newsletter list to get a notification for when I do this. For VBT, are the defined zones same for all resistance based exercises or different for different exercises? If they’re different, how can I find information on that? So the zones for your bench press would probably be different than for your squat. And the zones for your squat would likely differ from my squat. So there’s a lot of room for variation, but the zones above give you a place to start–you can make plenty of progress using just these guidelines, and then over time, tailor the zones as you see fit based on your performance. If you can take the time to understand all of this info and if you have a decent understanding of math/spreadsheets, you’ll be well on your way to using VBT with even greater efficacy. Enjoy!